Our full range of O-ring kits, splicing kits and O-ring measurement tools available to buy online. O-ring sets available in Nitrile, Viton, EPDM, HNBR and bonded seals. Never get caught short, buy a range of sizes at once in Metric or British Standard. We also sell splicing cord kits to create your own NBR / Viton® DIY O-rings. Measuring tools such as O-ring cones and tape available for accurate measurement every time. 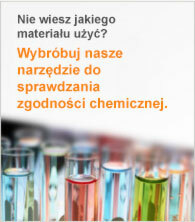 Zestawy Oringów Calowych (British Standard) Silikonowych.